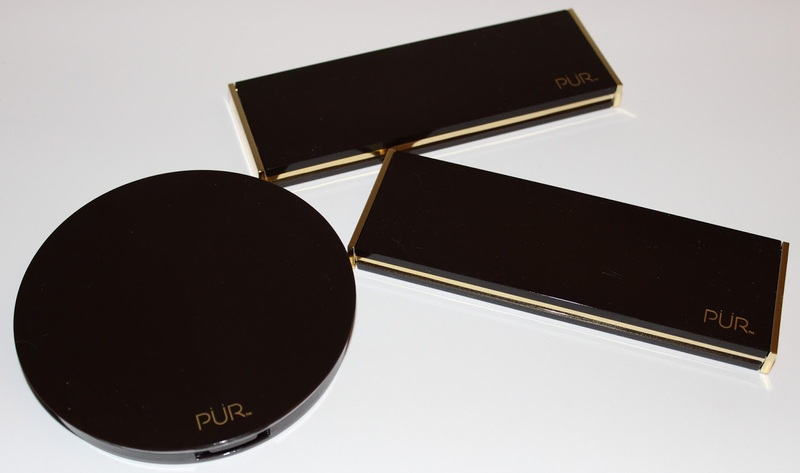 Pur Cosmetics released some new products for Spring, and I want to share my thoughts and of course, the swatches with you. 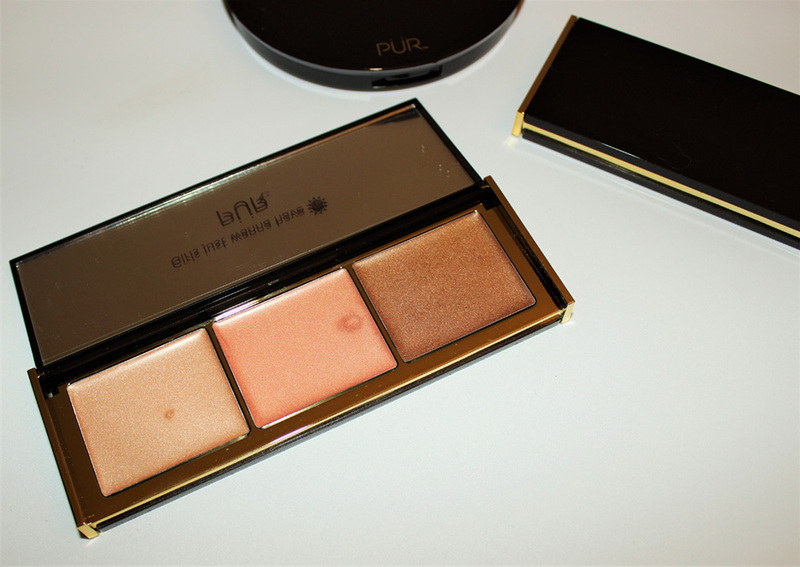 This collection has the Moonlight Pearl Strobe Palette, Sun-Kissed Glow Strobe Palette and the Glow Together Jumbo Bronzer. 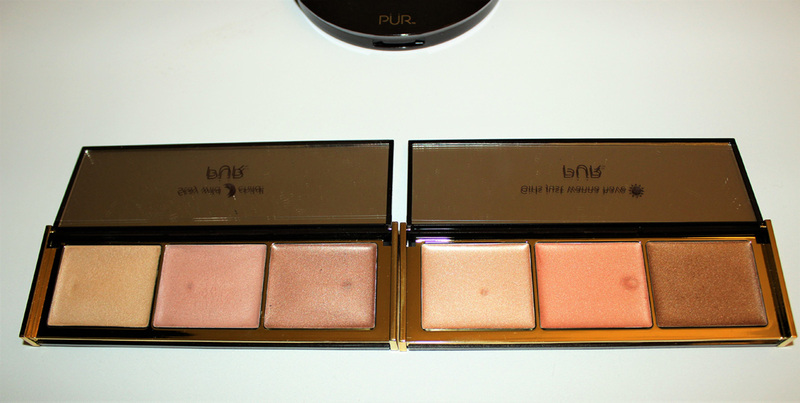 The two palettes are cream products and the bronzer is a powder. 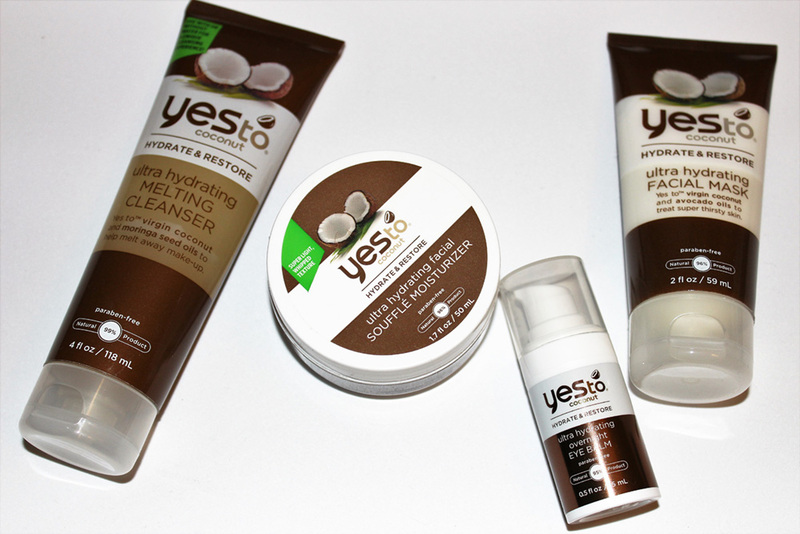 The packaging on all of these products is gorgeous. It's very sleek and picks up finger prints easily, but it's also easy to clean so it's not a big deal. 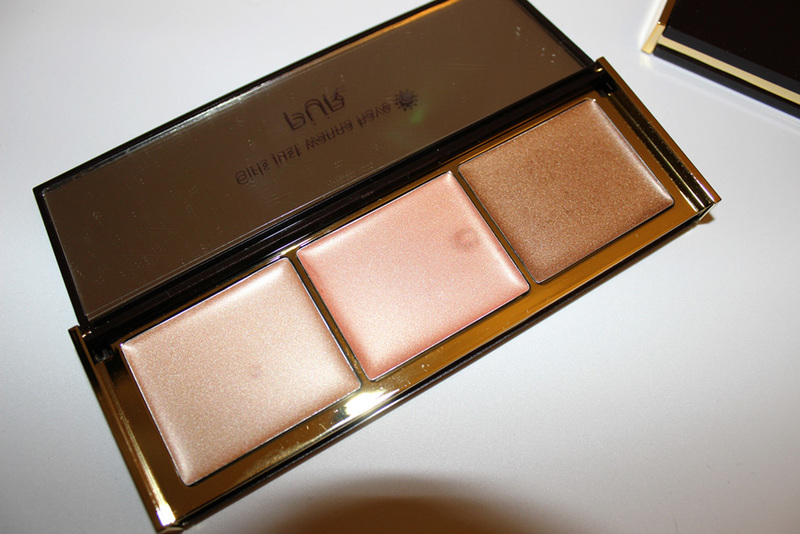 Also, each palette and the bronzer has a nice mirror inside. We'll start with the Strobe Palettes. 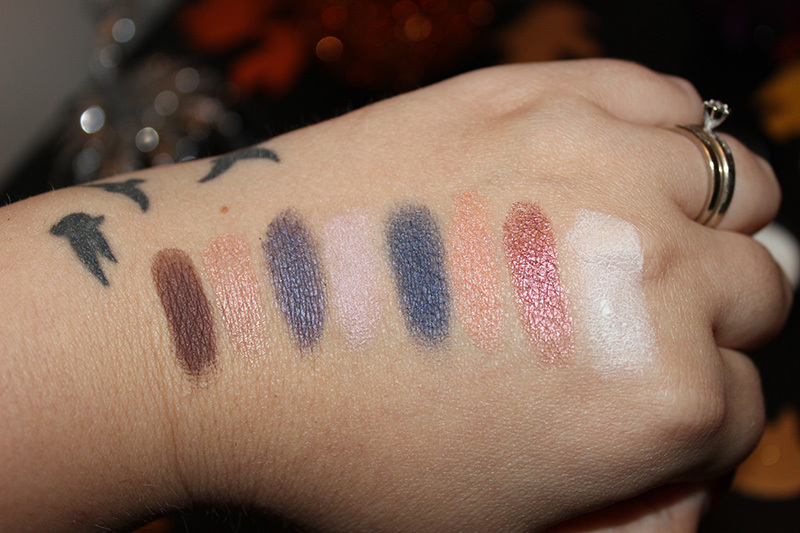 This palette is much cooler toned that the Sun-Kissed palette. 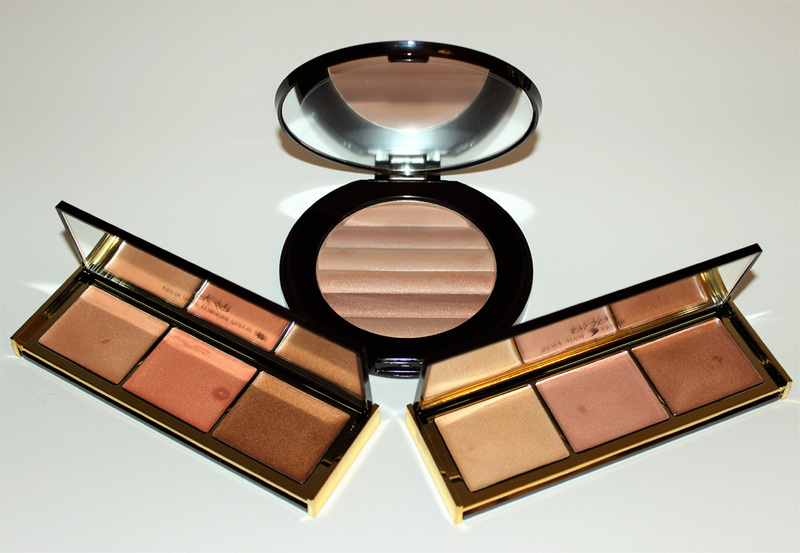 It has three shades, Twilight(Champagne-Gold), Lunar(pink toned) and Eclipse(cool-toned bronze). You can find it here. Aurora(Gold), Solar(peach with gold shimmer) and Dusk(warm-toned bronze). You can find it here. 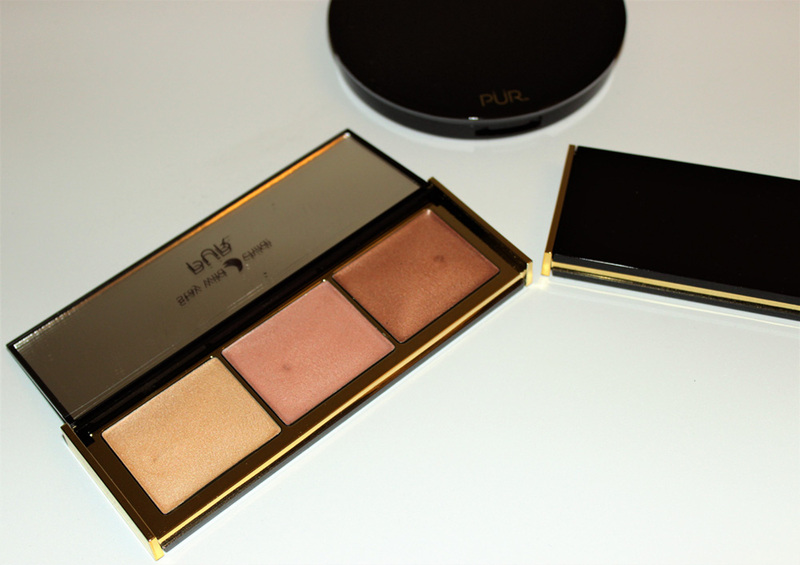 These palettes are very creamy, blendable and buildable. They aren't super pigmented at first, but that's a good thing because you can build them to the intensity that you want. If you want a light, natural highlight, you can get that or you can build it up to be super intense. I really love the consistency of these and they do dry down to a powdery finish. 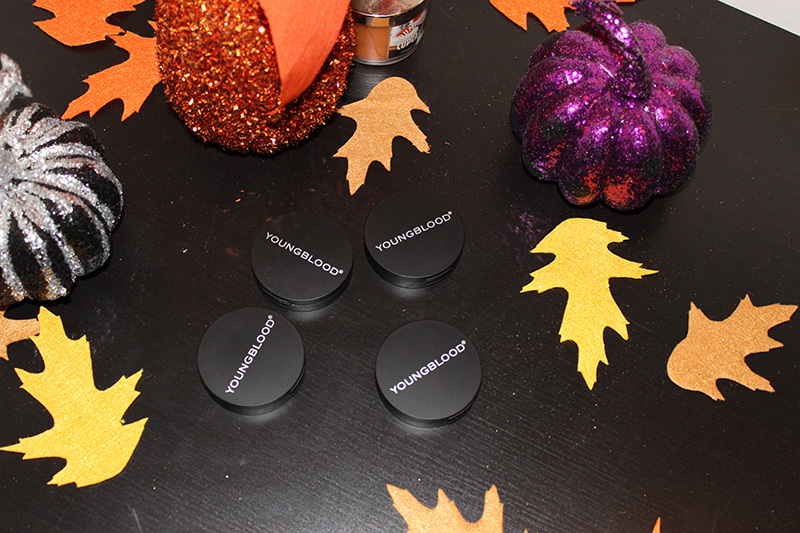 You can apply these over powders and it doesn't move my foundation around or cause the powder to bunch up. I like to apply them with my fingers. 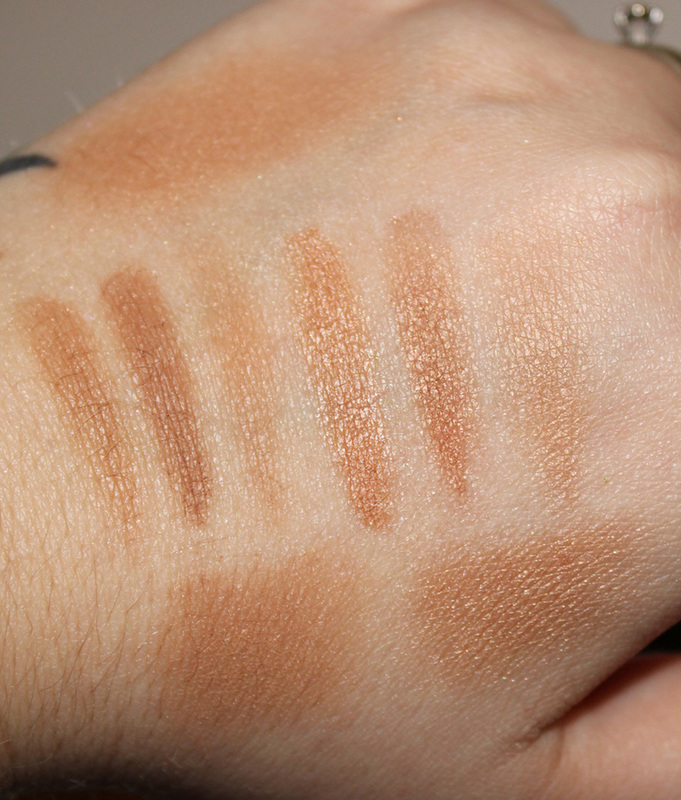 Moonlight Pearl swatches on top, Sun-Kissed on Bottom. This is, as it says, a jumbo bronzer. It has six strips in it, 3 shimmer and 3 matte. You can find it here. The KB Shimmer nail polishes are new to me; this is the first time that I've tried this brand so I took a little longer preparing for the review so I could get a good feel for wear time, application, etc, I have 6 polishes to share with you today, each one is pretty different. Let's start with the Fall Collection. The first shade is Breaking Blues. This is a periwinkle shade and it's a cream formula. I found this one to be super easy to apply and the consistency was good. It didn't apply streaky either. Next is Soul Deep.This is a deep navy blue & also a cream. This one applied very well and was opaque in a single coat. The consistency on this one is great, too. The next 4 are from the Winter Collection. Toying Around is a glitter topper with glitter of all colors & shapes, including micro glitter. This polish is also the 2015 Toys for Tots Charity Polish & $4 of the purchase of each bottle will be donated to Toys for Tots. 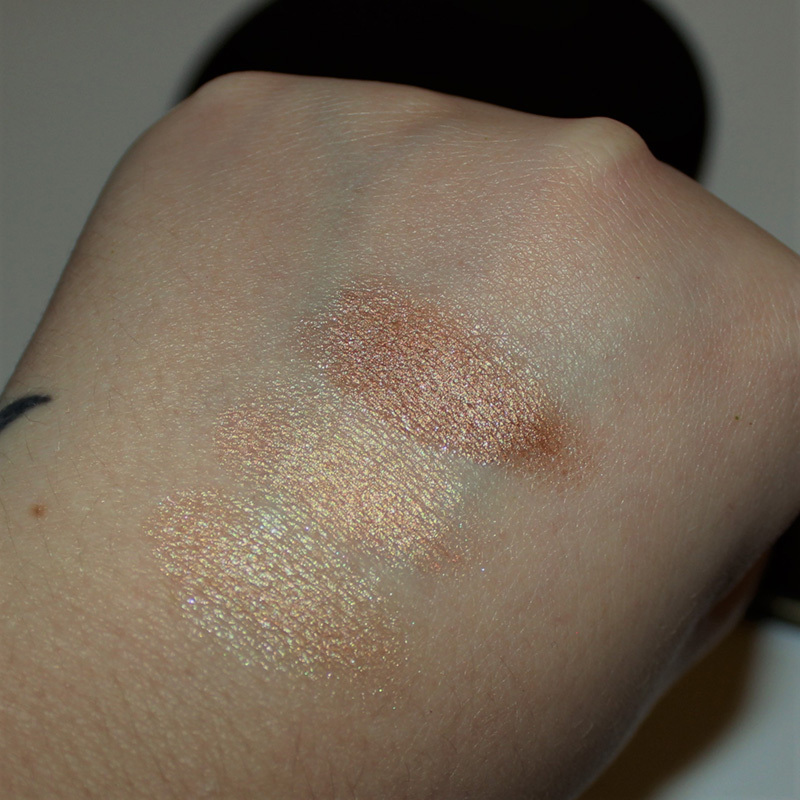 Next up is Owl Miss You, a beige with neutral undertones, golden flakes and a copper shimmer. This polish is opaque in 3 thin layers. The formula dries fairly quickly as long as you use thin coats, so it's not an issue. Coal in One is a charcoal gray holo polish. 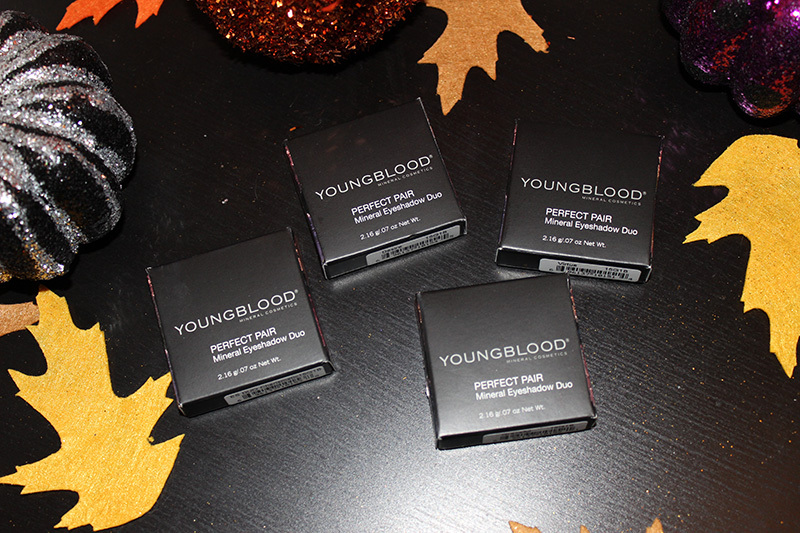 It's gorgeous & the formula on this one is so smooth and easy to apply. It's opaque in two coats. Lastly, we have Yule Worthy, which is a deep brown with very burgundy undertones; it has a very strong burgundy pull. It has micro metallic flakes as well. This one is opaque in 3 thin coats. 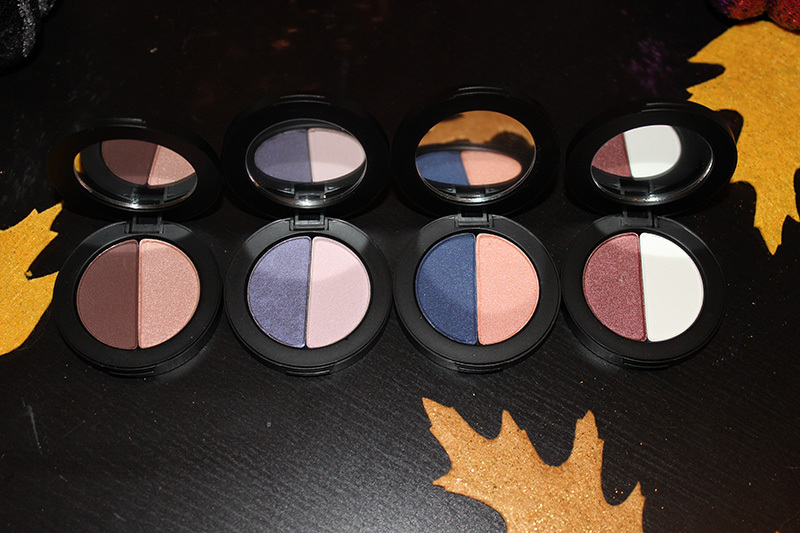 The colors in this collection are gorgeous and there are so many others available that I really want to buy. A few of my swatches are a little messy as I also have on acrylic nails so they stain really easily and get polish trapped around the edges & it makes them look uneven. I don't believe that the acrylic nails affects how the apply or dry, but it does affect their wear time because it stops the natural oils of your nails from affecting your polish, so I had Soul Deep on for 2 weeks with no chipping. I'd guess in comparison, on natural nails it would last around 1 week in comparison. You can find these polishes at https://www.kbshimmer.com/. Overall, I really enjoyed these polishes. 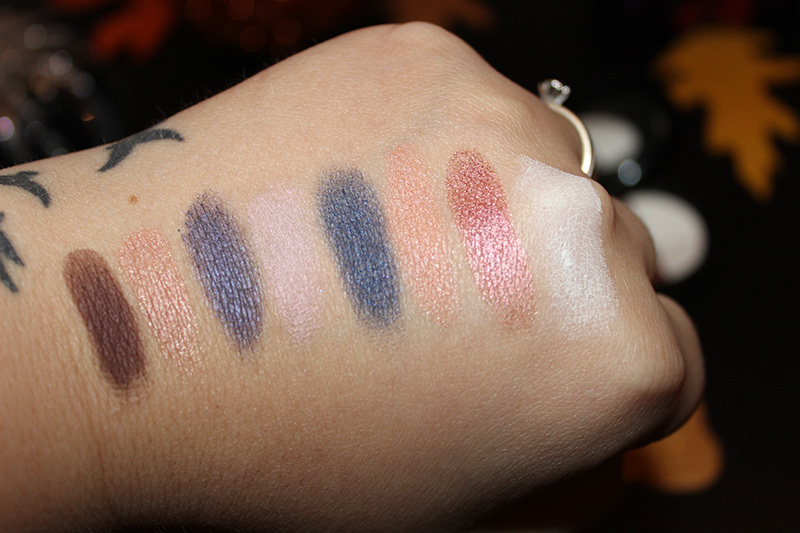 I hope this review and the swatches are helpful for you. 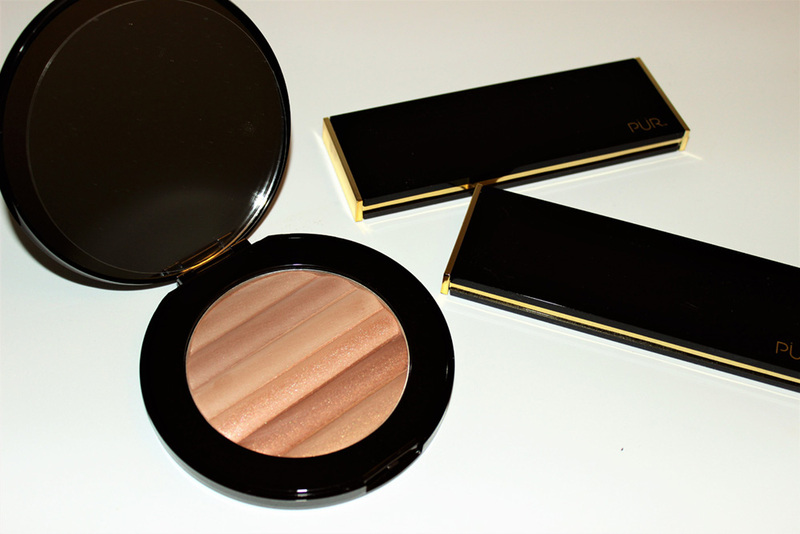 The Laura Geller Waterproof Eye Spackle Hues smooths and primes your eyelids. 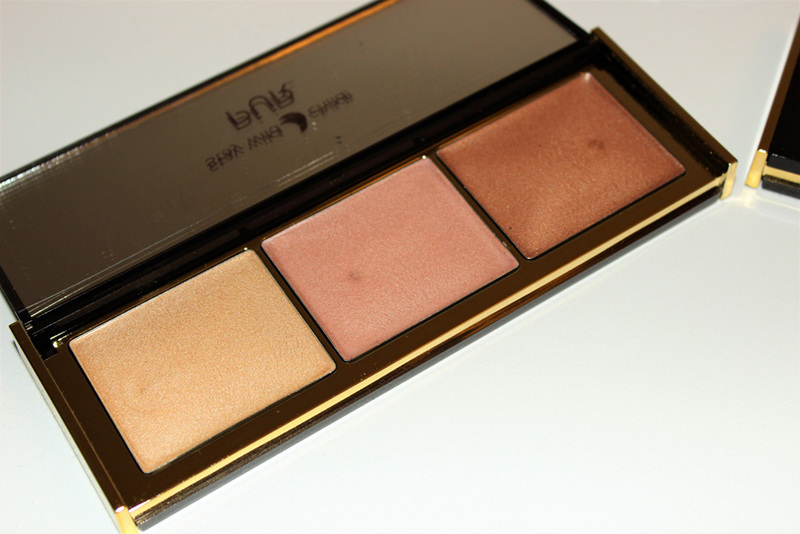 It helps eye makeup to last all day without fading as well as making it waterproof. 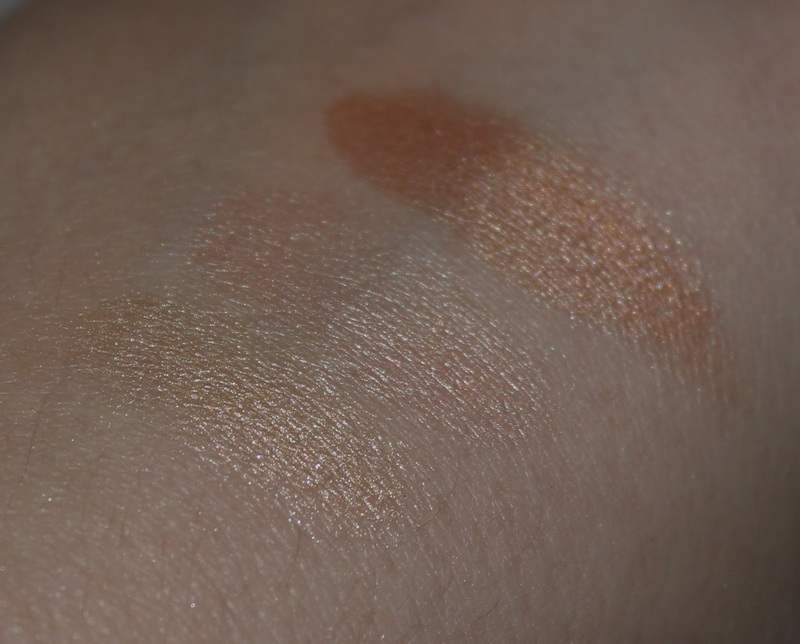 It has a hint of color, so it gives some color and shine to your lids if you want to skip the eyeshadow and just use this. It's also safe for sensitive eyes and contact wearers. The shade I have is Champagne which is a light gold with shimmer. This comes in a tube with a brush on one end while the other end twists to dispense product, like a lip gloss. It's very soft and blendable; it also dries really quickly. Once it sets, it lasts all day. 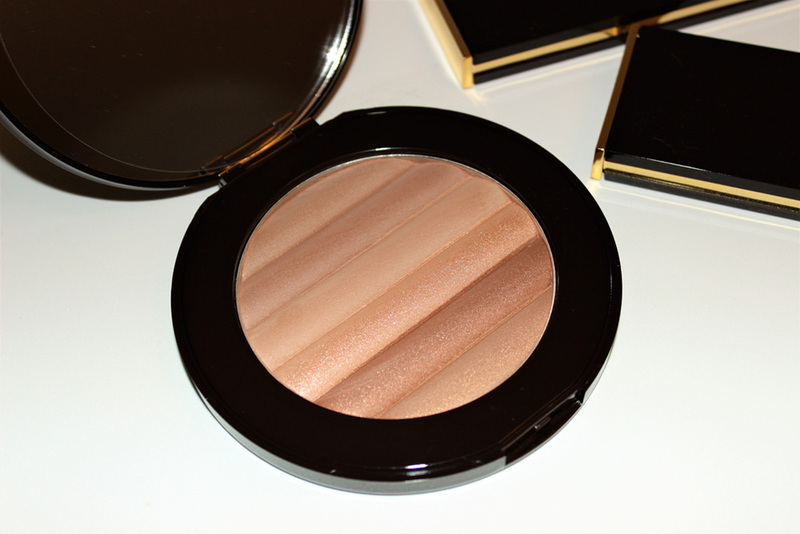 I really love wearing this on it's own or with a shimmery shadow on top for a quick, everyday look.